Founded in 1995, we have been providing the insurance and legal industry with weather records, certified weather data, plain-English reports , consultations, depositions and testimony for over 20 years. 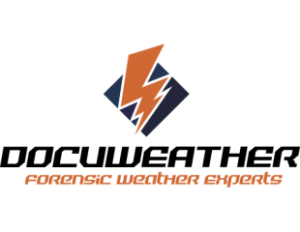 DocuWeather's forensic weather team is comprised of Certified Consulting Meteorologists (CCM) and Consulting Meteorologists. Both of which have extensive experience working with the insurance and legal industry. We have been retained on thousands of cases nationwide, ranging from slip and falls to property damage to witness credibility. Don't go it alone! Have one of our experts interpret the weather records for you and provide you with the definitive answer as to what the weather was a particular place and time. Working on a case or claim? Interested in discussing a case or claim? Call us at (800) 524-5330 or simply complete our weather request form and have one of our consultants get back to you.